A quick update on our May Madness. What fun this has been!! I can't wait to find out who the two winners are. Their conversations continue to be passionate for the books in which they are invested. I know I talked about this a little bit last week, but the action has gotten so intense, I just have to talk about our May Madness tournaments again this week in my slice of life. I heavily borrowed from Tony's idea of March Book Madness. When he shared about the excitement in his classroom during the tournament, I just knew this would be a great end of year activity to do with all my students, as they finish their elementary career and head on to middle school. Thanks so much Tony for a wonderful idea!!! The similarities are there, but every time I look at each group's pairings, I am more struck by what wasn't included for each class. Some of the books I would have sworn were their favorite read alouds didn't advance far, yet books that were highly popular and read by individuals did. It is very noticeable during our class conversations before voting, that certain students hold more sway when it comes to making their arguments for which book should win the pairing. I have many readers in my classes this year, but those students who noticeably devour all sorts of books, have a huge voice in what book advances to the next round. Pretty cool stuff! I was not in school on Monday, and I am so excited to find out which of these books made it to the "Elite Eight". We will be doing one more round when I'm back tomorrow, and then saving the huge show-downs for next week, our final three days of school. Next Tuesday, we will have the Final Four conversations and voting, and on Wednesday, we will have the championship game. That gives everyone plenty of time to start making their arguments to classmates for which book should be the overall winner. A group of students even suggested we have some sort of May Madness medal to put on the book that wins. What a great idea! We'll be displaying those books on Wednesday and Thursday, our last 2 days of school. I really like may maddness. I am worried that Middle School Worst Years of my Life would go up against Sidekicks. Those are some of my favorite books this year but I like Sidekicks a little bit better. I think the Hunger Games will win it all because how popular it’s been this year. I remember a tough matchup between Because of Mr.Terupt vs. some other good book. I like Big Nate alot because of how funny it is. I personely think Big Nate is SO much better than Diary of a Wimpy Kid. Diary of a Wimpy kid has bad humor and the books keep getting worse and worse and worse. May maddness adds a ton of fun to school! Thanks to Ruth and Stacey for hosting us on Tuesdays -- I'm delighted to be continuing my membership in this writing community that meets every week for Slice of Life Tuesday. Life has been hectic lately with all those end of school year things to wrap up, but I managed to make some time this weekend to finish a few books. 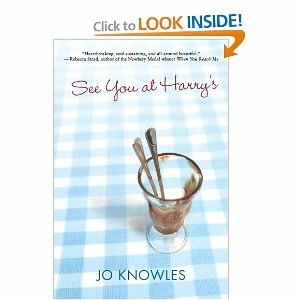 First of all, I read Meet You at Harry's. All I can say is wow! This is a story that tackles several tough subjects: the death of a family member, how the rest of the family deals with that loss, the difficulties of being gay in middle school, feeling like the invisible member of a family, and how relationships between good friends (boy and girl) can change once you get to middle school. The only thing I regret about reading this book was not listening to the friends who told me I would need a box of Kleenex. 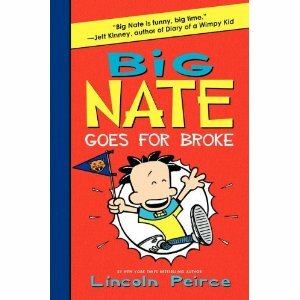 Then, I went for something entirely different, and read the latest book in the Big Nate series, Big Nate Goes For Broke. 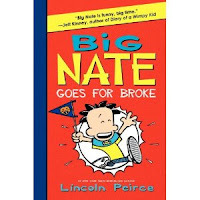 One of my students is a huge fan of Big Nate, and when he bought it at our recent book fair, and read it in one day, I knew I had to read it as well. What a fun, fun book! And I loved the emphasis put on both creativity and teamwork. A great addition to our classroom library in our Big Nate tub! 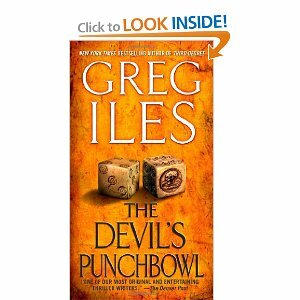 Finally, I read a little adult action adventure when I reread The Devil's Punchbowl. 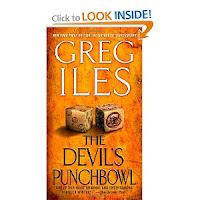 I love this author, Greg Iles, and the main character of this series, Penn Cage. The settings are always in Natchez, Mississippi, and it's interesting to get a look into the life of a small southern town. It's made all that more interesting because Greg Iles lives in Natchez himself. The book is a definite page-turner! 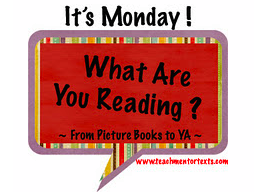 Please join Kellee and Jen at Teach Mentor Texts, who are the cohosts of this wonderful Monday event! I love finding out what others are reading, and start planning my next week's reading using some of the participants ideas. I don't have a true "slice of life" to share today, but rather a mishmash of a variety of things. I've been very introspective the last three weeks or so, and thus absent from all of my social networks. It was only this past weekend that I started checking in with my online friends, via email, Facebook, Twitter, and GoodReads. I feel like I've finally turned a corner. The reason for my absence was that about four weeks ago, we had a tragic death on my husband's side of the family. His cousin's wife died in an awful car accident, leaving behind two children (2 years old and 5 years old). I've been having a very difficult time making sense of the death of this young, loving mother. However, in this same time frame there were also several celebrations. Our youngest daughter made the Dean's List at her college, and was also hired for two separate internships (paid!!) this summer. Our oldest daughter found, and is moving into, a great house in the Capitol Hill neighborhood in Washington DC. For the first time since my knee replacement surgery last May, I got out into my yard for an extended period of time -- it feels so good to be mobile again! On the school front, we have 12 days left in this school year with students, and I have started to think about the ways I want to wrap up literacy thinking with my classes. One of the things we are doing borrows heavily on Tony's idea of March Madness with books. I've titled it May Madness, and by doing it now, we are able to reflect back on all the books we either shared together, or books that were highly popular in our classroom. Last Friday, we brainstormed all the books we thought needed to be talked about (each of my classes did their own list), and then this weekend, I "seeded" them (big learning curve as my husband tried to explain to me which numbered seeds go in which brackets). Yesterday and today, both classes have been working through the first round of 64 books. The discussions that have taken place already are just amazing -- students arguing the pros and cons of each book before we vote. Some students in my morning class were incensed that the Lunch Lady series lost to In a Heartbeat in the first round. A group of boys that love Lunch Lady immediately picked out all the Lunch Lady books in our classroom, and started to read them. When I asked them why, they told me they were reading in protest. :) They also told me they might start a "loser's bracket" so that Lunch Lady could win there. These are children who feel passionate about books!! In the morning group, I also have a group of four girls with similar reading tastes, who want to make a bracket of books that were special to them -- books they recommended to one another, and also books we shared as entire class. In the afternoon class, students have already looked ahead to some of the matchups in the 2nd round, and realize they don't know how they'll vote - each book is so amazing. Obviously, our discussions of the books, as we move farther into May Madness, will have to become more detailed and in depth. What fun this will be to observe!! So that's a little of this, a little of that. 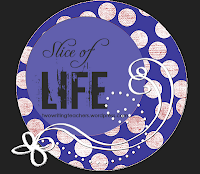 Thanks for stopping by today to read my meandering thoughts. 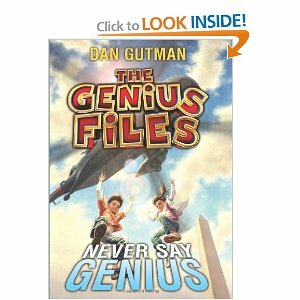 Never Say Genius -- This is the second in the Genius Files series, and it is sure to be a student pleaser. I have several students begging me to bring this into school asap! I really liked Gutman's first book, The Genius Files, and the second book doesn't disappoint. Our heroes, Coke and Pepsi, are still traveling cross country with the parents in a motor home, headed to Washington DC for their aunt's wedding. I love how Gutman incorporates geography, information about states, and celebration of the oddball museums across the United States. The reader does have to suspend belief sometimes to really believe our heroes continue to elude death at the hands of the bad guys, but it is so much fun every time they do! And the cliffhanger at the end of the book sets us up for a great Book 3. Racing in the Rain: My Life as a Dog -- Don't forget the Kleenex box while reading this one. This was given to me as a gift, and at the time I didn't realize it was adapted from a book written for adults. Now, I can't wait to read the adult version so I can see how the stories parallel each other. 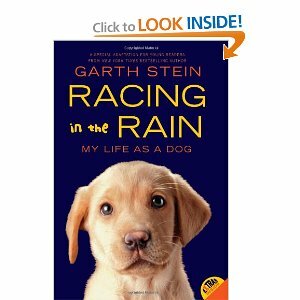 Racing in the Rain is told from the perspective of the dog, which I think dog-loving kids will find very appealing. He sees himself as a person, and is frustrated when he acts like a dog. Hearing the story of his owners is powerful. A tear jerker for me, but I love that stuff. The Fault in Our Stars -- I reread this amazing book in preparation for one of my adult book club discussions about it. It gets even better when experienced a second time. What a fabulous book!! Augustus and Hazel will be characters who stay with me for a long time to come. Divergent -- This was another reread. For me rereads can be soothing, and they work better for me sometimes when I'm pressed for time, and don't want to get involved with new characters. But the real reason I reread this was because Insurgent was coming out May 1, and I wanted to refresh my memory. Insurgent -- I loved it. Veronica Roth has a true gift for the Dystopian novel. I am looking forward to hearing her speak at our local independent bookstore on June 7. (as a side note, that's how I originally met Lauren Oliver and fell in love with her Delirium series). Castle of Shadows by Ellen Renner -- I had an ARC, but this book came out March 20. I haven't heard a lot of conversation about it, but I truly believe that this is a book children will love. Mysterious disappearance of the Queen, and now the King has gone crazy, which leave Princess Charlie in the care of a very nasty housekeeper. She is given little to eat, often locked in her room, and punished frequently (is even shot at several times). What child won't love the idea of Princess Charlie rebelling against this tyranny?!! And then there is the bigger problem of Princess Charlie joining true rebels who might not have her father's best interest at heart. 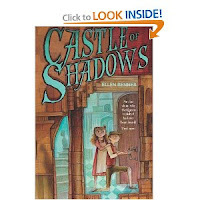 Intrigue abounds in Castle of the Shadows! !